What does pono mean? What does hoʻoponopono mean? Why does a person feel kaumaha, or heavy, when there are problems at home or at school? Is there anything you can do to make the heavy feeling go away? If there’s a pilikia, or problem, why is it important to make things right with yourself first, before trying to solve problems with others? What is the difference between pule, kūkākūkā, mihi, and oki? If some classmates at school are having problems, is it better to hoʻoponopono, or wait to let things resolve on their own? Why? Write a short story about siblings who don’t always get along. Include hoʻoponopono as part of the storyline. When you’re finished writing the story, share it with your parents or your teacher and ask them what they learned about hoʻoponopono. He aliʻi ka laʻi, he haku na ke aloha. Peace is a chief, the lord of love. Where peace is, there love abides also. Is there someone you always agree with 100 percent of the time, besides the person in the mirror? Probably not. So what about the 5 percent of the time when you don’t agree? What do you do? See who can shout the loudest? Or who lives closest to Lanakila (“victory”), Maui? As long as people have been around, there have been arguments. But we still have family and friends whom we love and who love us. For those times when we aren’t getting along, or when something just doesn’t seem right, we may want to hoʻoponopono. Hoʻoponopono means “to make right.” In hoʻoponopono, a leader calls everyone together. The leader is in charge. Everyone knows and respects the leader, who is usually a kupuna (elder). The leader has special skills and experience that can help reunite the family. This leader is called a haku. First the haku is chosen. Then there are rules to follow, and the family must agree with the rules. The family must agree to hoʻoponopono. They must agree on the process. Everyone must tell the truth. Everyone agrees to love each other. They must restore the spirit of aloha. No one in hoʻoponopono can repeat what was said during the hoʻoponopono. The haku must be someone everyone feels will be fair. Spiritual guidance can help to problem solve and heal the spirit. 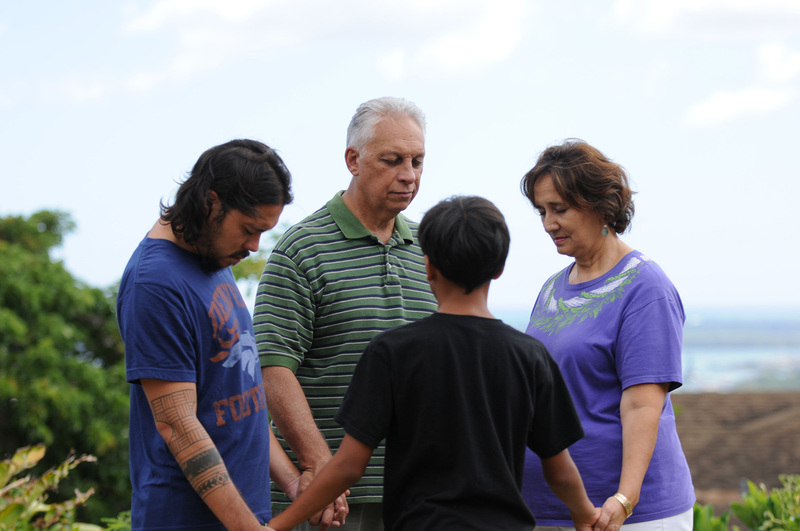 And prayers are an important part of hoʻoponopono, as they are throughout Hawaiian life. There is an opening pule, or prayer, a closing pule, and as many pule in between as needed. Hoʻoponopono involves self-reflection—looking at yourself and thinking about how you may have contributed to the situation. It may involve admitting to bad feelings, words, thoughts, or actions. And it involves forgiveness. T he family celebrates after hoʻoponopono. 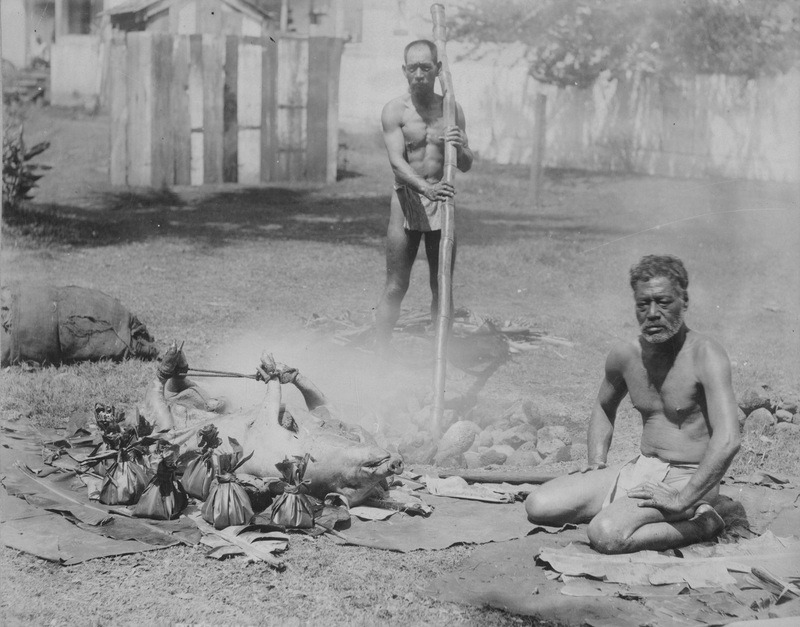 Traditionally, pigs would be offered to the gods. The family would bathe together. This would help to clean their spirit. Then there would be a traditional feast. The hoʻoponopono process is an old one, but it still works. It still brings back the spirit of aloha. It still heals hurt feelings. And it still reunites families. Through hoʻoponopono, we learn to communicate better. We are reminded of the importance of honesty and the value of forgiveness. Hoʻoponopono helps keep our ʻohana strong and healthy. We can stay pono through hoʻoponopono!